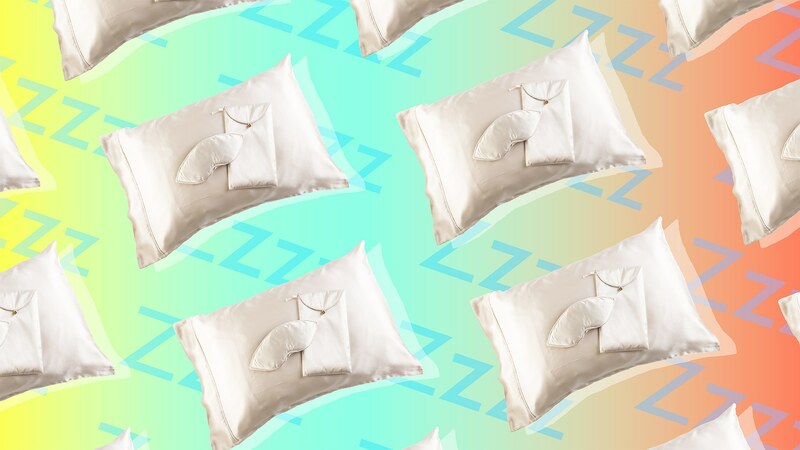 Are Pillows Making Your Allergies Worse? After yet another day of sneezing, congestion, itchy eyes and a scratchy throat (happy spring, everyone! ), many allergy sufferers are understandably looking forward to getting some shut-eye. But because there’s truly no rest for the weary, allergies are also a nighttime problem that can cause you to lose a significant amount of sleep. If you’re counting sheep as you continue coughing and sneezing into the wee hours, there’s a good chance your pillows are making your allergies worse. Dr. Deeba Masood, an allergist at Northwestern Medical Group, tells SheKnows that pillows frequently harbor dust mites, which are often the culprits behind allergies, asthma and eczema. Getting rid of all your pillows surely isn’t the solution to a better night’s sleep, but don’t worry — there are steps you can take to ensure your pillows aren’t triggering your allergies as you attempt to get a solid night of sleep. Masood says pillows containing feathers are the most likely to gather dust mites. She recommends switching them out in favor of pillows with a polyester fiber filling and using dust mite-proof allergen covers to create a barrier. In addition to using an allergen-encasing pillow protector, Ogden suggests washing your pillow in hot water every week to kill any existing dust mites. “An air purifier can also help capture and filter out the allergens that are dispersed into the air when you make your bed and shake out those pillows,” she adds. To avoid transferring pollen onto your pillow, Ogden recommends taking a shower and washing your hair before bed during allergy season. Just make sure your hair is dry before you settle into bed, as Rebecca Lee, a registered nurse and creator of Remedies For Me, tells SheKnows that sleeping with wet hair can create mildew on your pillows. When you do your weekly pillowcase wash, Lee recommends washing your bedsheets as well — and pillow protectors should be washed every two weeks. “Allow your pillows and cases to dry completely before use,” she says. There’s no getting around the misery of allergy season, but clearing your bedroom of all allergens’ favorite hiding places can at least help ensure you’ll get some much-needed sleep. After all, you need all your strength to fight off those daytime allergies.